We envision a vibrant region connected by an web of fast, frequent and dependable trains and buses. And you can help make it happen. As we see it, 220-mph high-speed lines will anchor the network, providing air-competitive trip times between major cities. States will partner with privately-owned railroads to offer 90-mph, high-frequency services on today’s Amtrak network and other routes. Connecting bus lines and strong links with local transit will provide service to many smaller towns and communities beyond the core network. 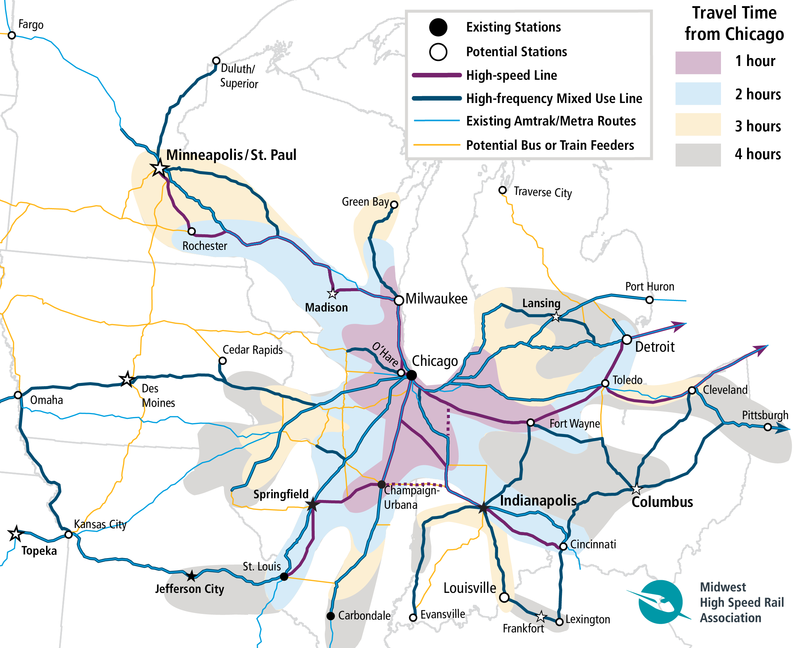 The result: a dense, expanding network creating easily accessible options for traveling between a multitude of places. Towns, mid-sized cities and suburbs feed riders into big cities, while big cities feed riders into suburbs, mid-sized cities, and towns. So the benefits flow in every direction. Please get involved by taking action on one of these core issues.